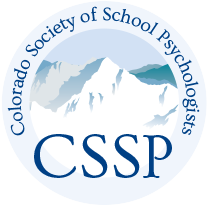 The Colorado Society of School Psychologists invites proposals for papers and poster presentations for the upcoming annual fall conference November 7 - 9th at the beautiful Vail Marriott Mountain Resort. Each year the conference draws school psychologists, social workers, counselors, special educators, advocates, directors, administrators, university professors, and others to participate. This conference is an outstanding venue in which to showcase your research and practice to Colorado mental health and education professionals. We are especially seeking presentations that will appeal to seasoned practitioners and assist them in delivering the highest quality, evidence-based practices in schools. The emphasis of this year’s conference will be on the comprehensive service model and the implementation of mental health and wellness programming, and interventions to meet students’ various educational, social, emotional, and behavioral needs. Please submit your presentation or poster that aligns with our theme! The 2019 CSSP Summer Institute: Anxiety, Depression, and Our Students: Advocacy through Assessment, Interventions, and an Ecological Systems Lens will be on June 18th at the DU Morgridge College of Education. Registration is now open for this special presentation by Dr. Barbara Gueldner. Click on EVENTS for more information and to register. CSSP members - be sure to login to get the discounted registration rate! Congratulations to the CSSP 2019-20 elected officers! Secretary and treasurer serve for a term of two years. Presidential terms are for three years (president-elect, president, past president). Terms begin July 1. We are excited to announce the launch of our newly-designed and upgraded website! The CSSP Board of Directors are confident you will find the new website a valuable resource. A new and fresher look! We encourage you to explore the new site, although much has changed, all of the resources that we have offered over the years are still part of the site. HB19-1036 had Been Signed into Law! HB19-1036 is officially a law! Amazing grassroots advocacy work by CSSP board members Melanie Potyondy and Sacha Mittelman, along with Brittany Vervalin, and Brad Reimers to get this bill passed. 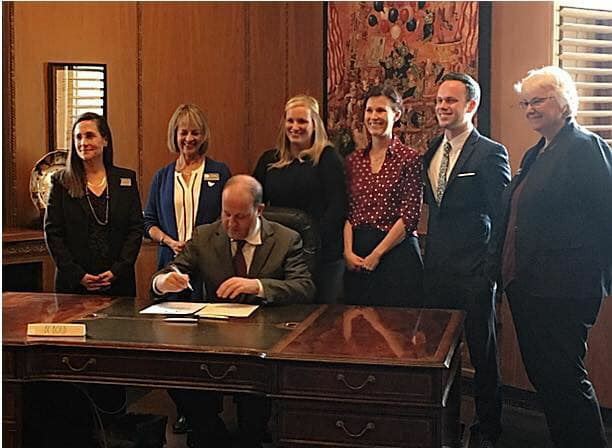 This bill ensures that National Certified School Psychologists (NCSP) across our beautiful state will receive an annual stipend that recognizes the high level training and professional development needed to maintain this distinction. Big thanks to Representative Jeni James Arndt for this amazing opportunity for school psychologists.